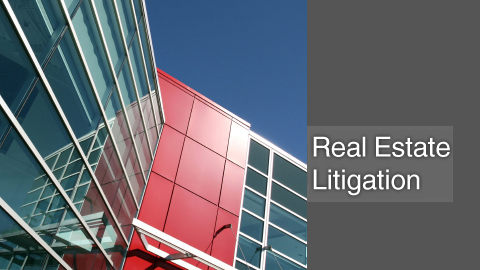 Lavaee Law Group represents clients in a variety of real estate litigation matters. We offer legal advice on matters arising out of both residential and commercial real property disputes. We handle a variety of litigation, including but not limited to, real estate fraud, real estate purchase agreement disputes and general real estate litigation. With an eye on our client’s bottom line, we look at everything not just from a legal standpoint, but from a business standpoint to insure the best financial result for our clients. To get started and for a free and confidential consultation, please contact our office toll free or via email to speak with a real estate litigation attorney in Beverly Hills.